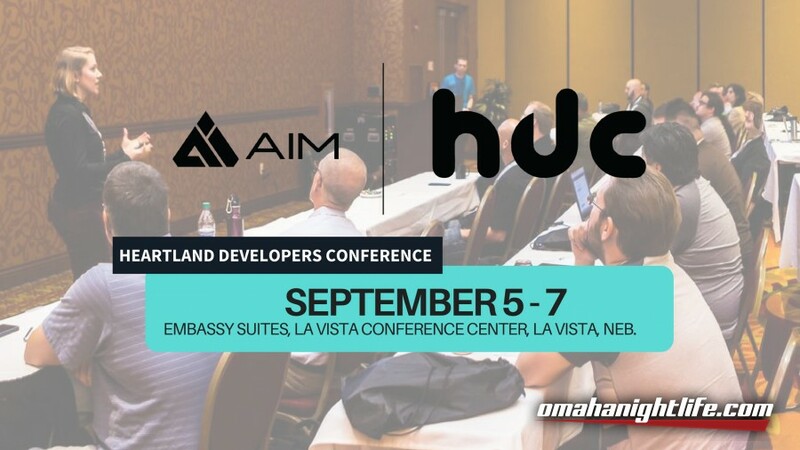 AIM Institute's Heartland Developers Conference (HDC) is a 3-day software development event in Omaha, Nebraska from September 5 to 7, 2018. The event includes hands-on workshops, speakers, breakout sessions and networking opportunities. Registration for AIM HDC includes all-access to the opening reception on Wednesday, September 5 as well as Thursday and Friday keynotes, 35+ sessions, sponsor exhibition, and included meals. Proceeds from the event are infused directly back into AIM's work toward building and strengthening the tech talent pipeline across the Silicon Prairie through youth and adult tech education at the AIM Brain Exchange. If you have questions about this year's HDC, contact Dave Vankat at dvankat@aiminstitute.org.